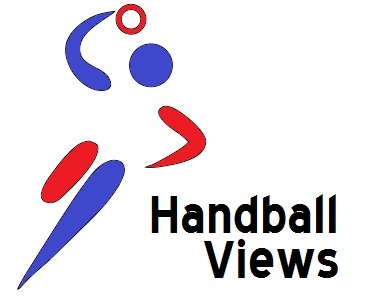 Sadly, Handball Views‘ own application for the top position got lost in the post so England Handball, the body charged with increasing partipation for handball and in receipt of Sport England funding to do so, have had to make do with appointing David Meli to be their first ever CEO. Meli was previously part of the National Governing Body Relationship Team at Sport England so the relationship between the two organisations should remain pretty stable now that he gone from gamekeeper to poacher. England Handball’s goal over the next few years will be to build the participation levels for handball using the Olympics as a catalyst but also through growing the sport in schools and, hopefully, linking up with initiatives that will (for example) get more women and girls into sport generally. Handball being one of the more inclusive sports on the planet we should have good times ahead. There’s more details and some quotes here. Now we all need a dollar. No money for international handball in the UK. Everyone knows the focus for UK Sport is on winning medals in Olympics. It’s why they pump tens of millions into modern pentathlon. And as there is, sadly, no realistic possibility of either the men’s or women’s Great Britain handball teams qualifying for Rio 2016 so there will be no elite level funding at all for handball from UK Sport. The men’s team have already faced economic reality by paying their own way to Greece in a recent qualifer. The women’s team’s fate since the summer has been even harsher: no games played and none scheduled. It is hard to see how the situation for internationals is going to improve enough by the next funding cycle. This doesn’t affect at all the Sport England money for participation and development but it does mean that if and when there is a solid body of players ready to step up to international level the journey for them has just become significantly harder. These figures obviously exclude Scotland and there have also been positive tweets and the like from Ireland (but as I know nothing about the situation there I’ll refrain from commenting). The hard work for a handball legacy is now under way. For more information about England Handball see here.